Putting in a long weekend shift, teams at Mission Control and Astronaut Jeff Williams worked for close to eight hours to finally accomplish a safe expansion & pressurization of the module. BEAM’s expansion marks the conclusion of a two-decade effort between NASA and private industry to test out expandable habitat technology in space. 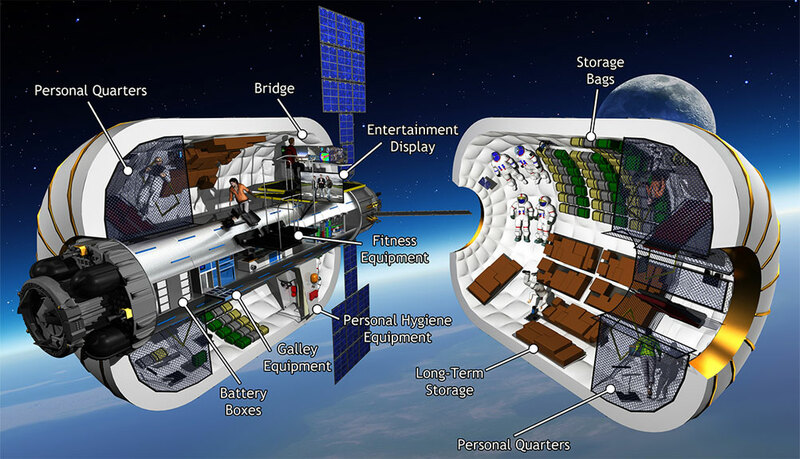 Expandable Module Technology will likely be an integral part of future space flight systems. Taking advantage of ISS as a pathfinder for future spacecraft architecture increases confidence in the technology and reduces risk for future space travelers who will be relying on expandable modules when setting out to distant destinations. 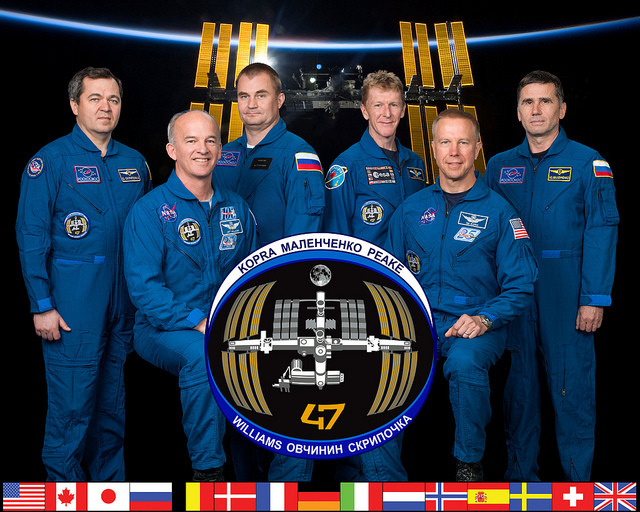 BEAM is the first module addition at ISS in over five years after the Permanent Multipurpose Module was installed in the closing stages of the Space Shuttle Program. 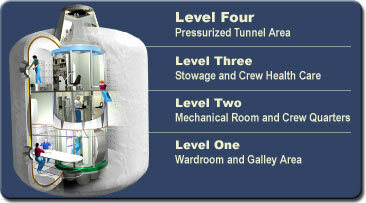 However, BEAM will only get to stay for two years in a long-duration demonstration of expandable module technology in the challenging environment of Low Earth Orbit – vacuum, extreme temperature changes, high doses of radiation corrosion through atomic oxygen and impacts of debris and micrometeoroids. Expandable Modules have been under study since the dawn of the space age with the goal of minimizing the mass and volume of a module at launch while delivering abundant volume once in space for crews to live and work in. 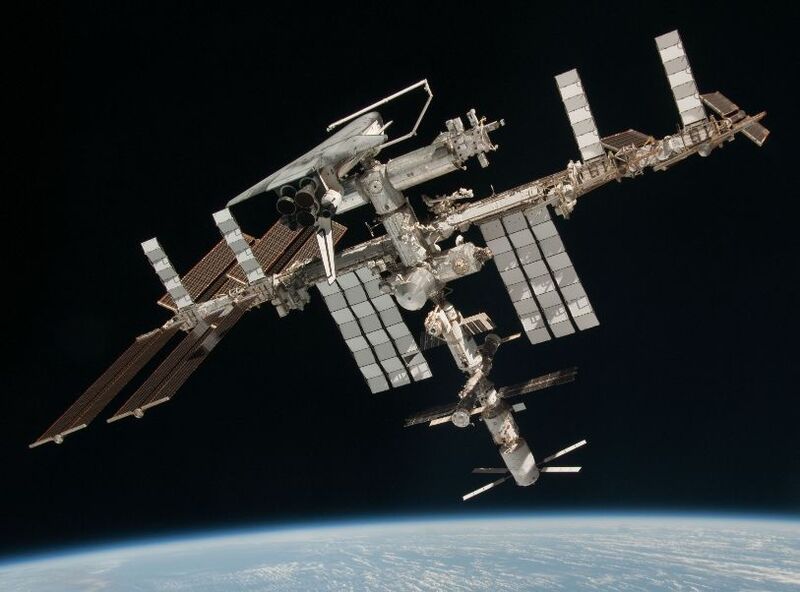 Adding an expandable module to the International Space Station was pursued by NASA in the 1990s when the plan called for the addition of a deployable module for use in the daily life of the crew, but the project was ultimately canceled due to funding and schedule woes. Bigelow Aerospace used private funding and NASA patents to begin development of expandable modules for commercial use in and beyond Earth orbit. A pair of Genesis pathfinder modules launched in 2006 and 2007, demonstrating the in-space deployment of the modules and proving they could hold pressure for years. With promising results from the two pathfinder missions, Bigelow continued to refine the technology of its modules to make them safe for human habitation. 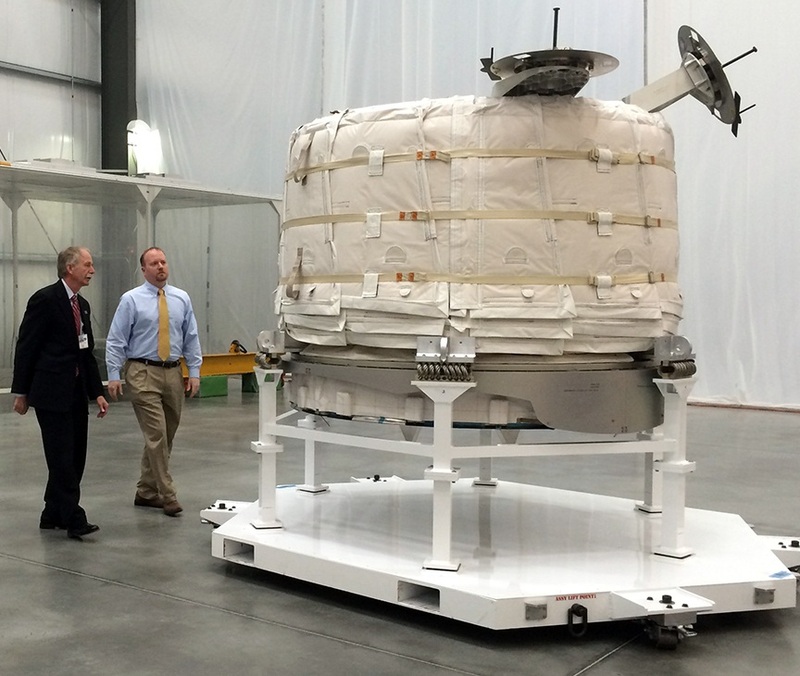 NASA and Bigelow signed a contract for the BEAM project in 2012, providing Bigelow with the funding for a demonstration of expandable module technology in a human environment with the overall goal of increasing confidence for the technology and its future application in space flight. BEAM weighs in at 1,360 Kilograms, comprised of a pair of metal bulkheads – one on its forward end and the Common Berthing Mechanism for attachment to ISS on the aft end. The walls of the module are comprised of multi-layer polymer material. Properties such as composition and thickness of the material are proprietary information not released by Bigelow. BEAM headed up to ISS inside the Trunk Section of the Dragon SpX-8 cargo craft launched atop a SpaceX Falcon 9 rocket on April 8 and arriving at ISS two days later. 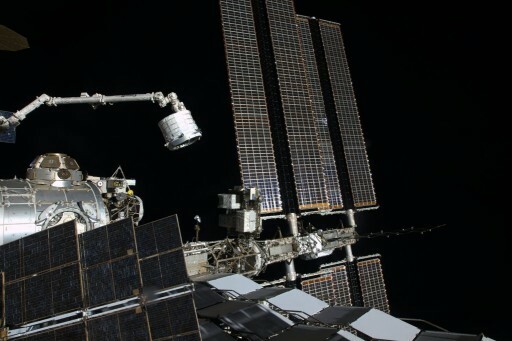 The Station’s robotic arm was in action on April 16th, moving BEAM from the trunk to its installation location on the aft Common Berthing Mechanism of the Node 3 module. For over a month, the module sat dormant in its new location, measuring 2.4 meters in diameter and 1.7 meters in length – awaiting deployment to a size of 3.2 by 4.0 meters, delivering 16 cubic meters of internal volume. Expansion of the module, a five-step process, was preceded by several days of preparation by the crew aboard ISS. 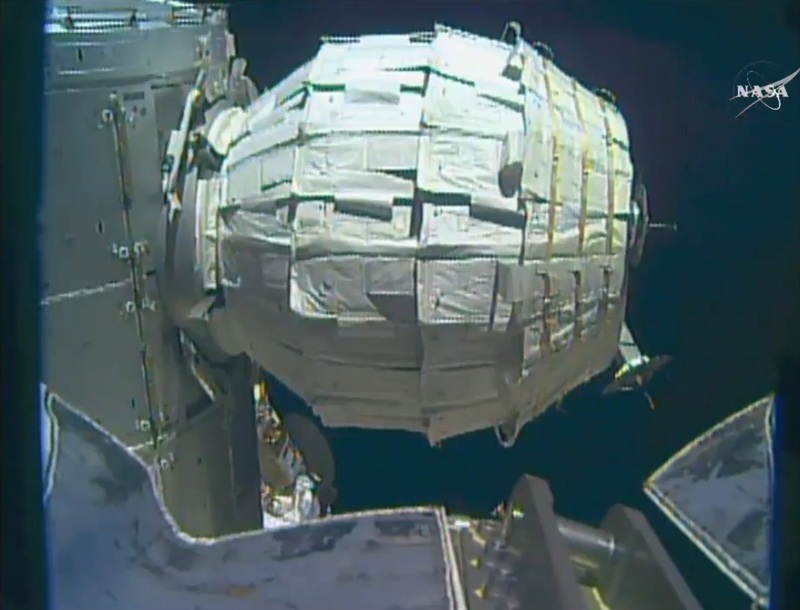 Thursday’s operations of deploying BEAM started with the closure of the Ascent Vent Valve that ensured the module remained at vacuum when riding into space. Next, Williams commanded the pyrotechnic cutting of launch straps that kept BEAM in its tightly packed shape during launch and and installation on ISS. Each strap was outfitted with a pair of NASA Standard Initiators and Williams verified that at least one NSI per strap was fired to to free up the module for expansion. The last pre-expansion step was the release of the forward bulkhead by commanding a pair of bolts to release, permitting the bulkheads to move apart when air was introduced into the module. Expansion of BEAM was to be completed manually by Jeff Williams – opening and closing the Pressure Equalization Valve, introducing a carefully controlled volume of air into the module. Controlling the pressure inside the expandable structure was important for managing potential energy within BEAM as a rapid expansion was to be avoided to protect the structure of ISS from excessive loads. After initial axial expansion and bulging around BEAM’s circumference, motion of the module stopped despite a higher-than-expected pressure inside. 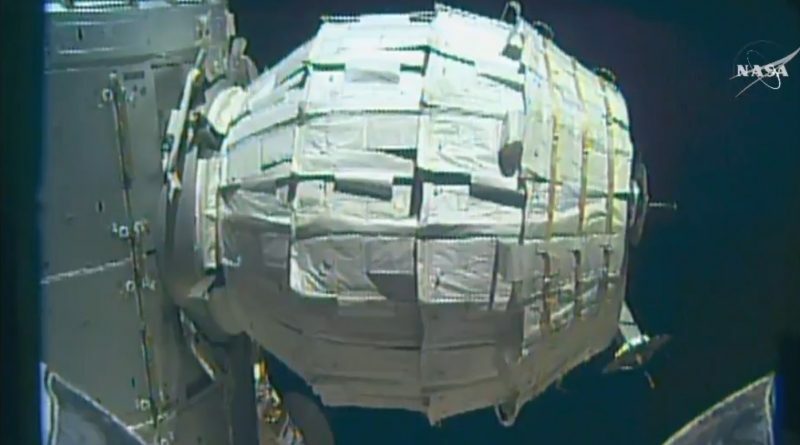 NASA and Bigelow Aerospace decided to abandon Thursday’s attempt and allow the polymer fabric to relax by depressurizing the module on Friday in the hopes of overcoming that stiction between the fabric layers of the module that held up the first deployment attempt. Resuming operations on Saturday, engineers were more confident to see a good expansion at the same pressures of Thursday’s attempt since the material had around 24 hours to reconfigure. Jeff Williams started with a 22-second release of air into the module which brought the pressure back to what was seen on Thursday. Another 8-second introduction of air led to the popping of stop rip stitches inside the module, a good sign for a continuing expansion. 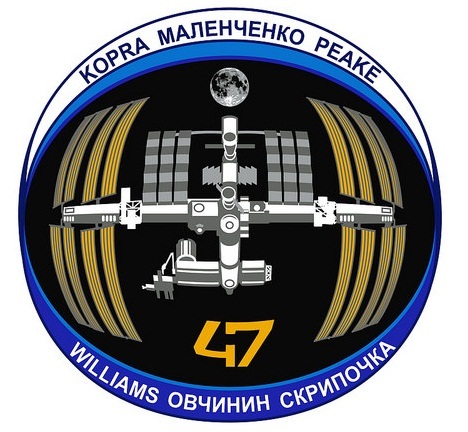 Over a period of seven hours, negotiating around downlink video coverage, Williams continued to introduce small bursts of air into BEAM, with slow, but steady, expansion on the module first growing in diameter before extending its length. Teams were almost ready to call it a day to come back on Sunday when BEAM suddenly found the accelerator and showed noticeable movement after 20 bursts of air. What was considered full expansion was reached after 25 pulses of air for a total time of 2 minutes and 27 seconds. 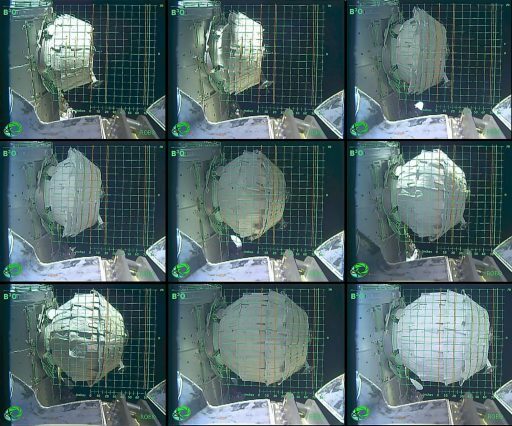 External cameras on ISS were positioned to document the expansion process from multiple angles to study the deployment dynamics of the module. There were four different models of how BEAM would actually expand and teams were eager to verify which of those would be accurate for use in future module developments that will be much larger than BEAM. After BEAM had reached the expected dimensions, Jeff Williams powered up the BEAM Deployment Controller and initiated the full pressurization of the module to ambient ISS pressure using eight air bottles installed in BEAM. 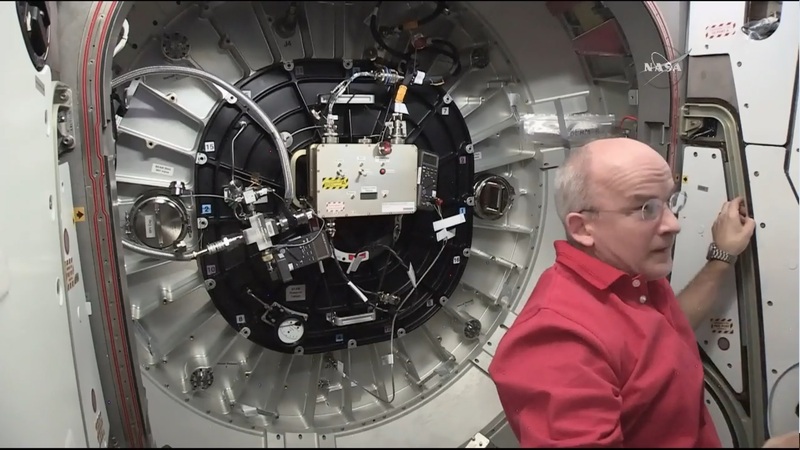 Once BEAM is fully pressurized an 80-hour leak check will be completed to ensure the module is holding pressure and safe for crew ingress, currently on the schedule one week from now. Wearing protective gear and head lamps, the crew will complete a brief inspection of the module to look for damage or floating debris before heading into the installation of battery-powered sensors inside the module. Instrumentation on the BEAM module includes pressure and temperature sensors, impact sensors and radiation dosimeters to track the behavior of the module over its two-year stay at ISS. Measuring radiation inside the module is an important aspect for future human habitation of expandable modules that are expected to provide better protection from radiation than metal modules due to the radiation absorbing characteristics of the polymer shell material. Micrometeoroid impact protection offered by expandable modules is equivalent or even better than rigid metal modules. The BEAM mission is purely dedicated to the demonstration of expandable module technology over an extended period of time. 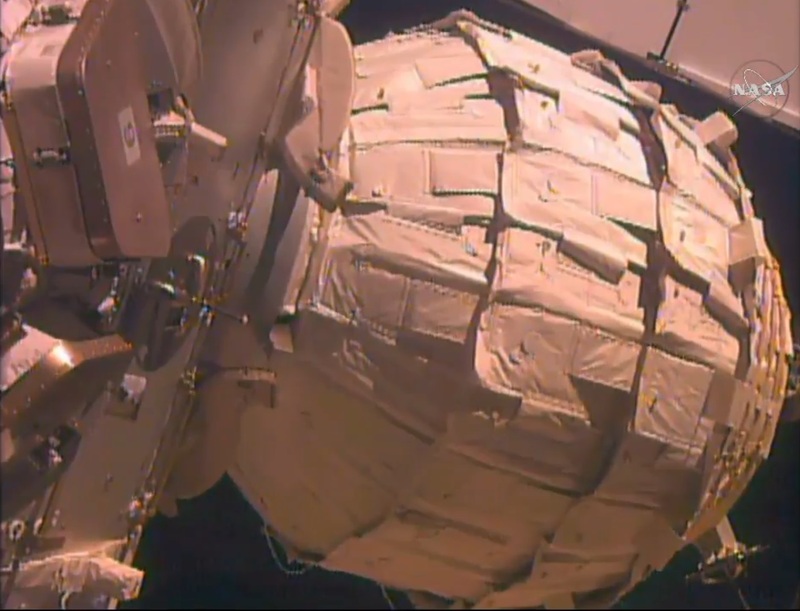 The module will not be involved in any operational activities and does not serve as a living room for the crew. Its hatch is to remain closed for the majority of the mission, though air will be exchanged through the Station’s Intermodule Ventilation Loops. Crews will ingress the module three or four times a year for inspections and the retrieval of sensor data. At the end of its two-year stay at ISS, BEAM will be buttoned up and removed by the robotic arm to be released in a position below ISS. Orbital Mechanics will do the rest and quickly move BEAM away from ISS as its begins a steady descent towards the atmosphere given its relatively low mass and large surface allowing drag to rapidly lower its orbit. Destructive re-entry of BEAM is expected one year after its departure from ISS. BEAM is significantly smaller than the operational modules that are being developed by Bigelow for a number of commercial applications. Bigelow recently announced a partnership with United Launch Alliance for the launch of the first BA-330 habitation module in 2020, either as a free-flying module or as attachment to the Space Station if an agreement can be reached with NASA. The module will have a pressurized volume of 330 cubic meters equivalent to over 20 BEAM modules. With long-term plans of regular use of BA-330 for research, deep space travel or space tourism, Bigelow will be looking forward to the first data arriving from BEAM to prove the feasibility of long-duration missions of expandable habitats.